Laura Cottrill is a new Sales and Service Associate who joined the CPI Team in September 2018, with 13 years of prior experience in the insurance industry. She received her Bachelor of Science Degree in Healthcare Administration from the University of Wisconsin-Milwaukee in 2004. She holds a State of Wisconsin health, life and AD&D license. She currently assists Jon I. Cyganiak Jr. and provides service to his group clients. Laura resides in Germantown with her husband Jeff and children Blake, Kaleb and Annabelle. Monica Davis is the Medical Brokerage Supervisor at Cyganiak Planning’s Brokerage Center. She collaborates with over 200 insurance agents and their service associates to market, implement and service employee benefits. She works closely with the agent to be their primary support in working with various insurance companies to insure small businesses and individuals. Monica started her career in the insurance industry in 1987 working as an administrative secretary and receptionist at Cyganiak Planning. She was promoted a year later to a Financial Service Representative in the Individual Life & Disability Brokerage and began working with two Managers to build long-term relationships with insurance agents and their clients. In 1991 she was promoted to the Medical Brokerage Department as a Service Representative where she expanded her knowledge into different insurance markets and strove to provide a high level of service. In 1993 she was promoted to the Medical Brokerage Supervisor where she markets exclusive small group plans to insurance agents throughout the state of Wisconsin. She provides outstanding service to hundreds of group and individual clients for medical, life, dental and vision plans. She is a licensed health & life insurance agent for over 30 years and a licensed property & casualty insurance agent for over 10 years. Jenna Kleist is a sales and service associate at Cyganiak Planning. She works with groups and individuals to help answer questions in regard to their benefits, and she helps resolve service issues that arise when dealing with insurance products. Different types of issues she helps resolve include; claims problems, questions about plan benefits such as deductible amounts, coinsurance and prescription benefits, and questions about how certain health conditions get covered under the group or individuals particular policy. Jenna also sells health, life, dental and vision insurance to individuals and groups. She graduated with a Bachelor’s degree in Journalism with an emphasis in Public Relations in 2009 from the University of Wisconsin Oshkosh. 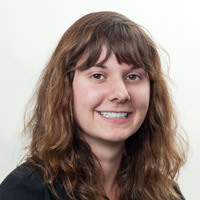 Jenna started working at Cyganiak Planning in July of 2011. Wanda Grimes has been employed with Cyganiak Planning since 1990. She started her career in the Accounting, Billing & Computers department. After five years, she transferred to the Medical Brokerage Department where she assisted insurance brokers with servicing their small group employers for medical, life, dental and vision benefits, as well as their individual customers with medical and dental benefits. She holds a State of Wisconsin health, life and AD&D license, is certified to work with Federally Facilitated Marketplace enrollments as well as Medicare Advantage, Medicare Supplement and Part D Plan products. In 2014 she accepted a position as Steve Flewellen’ s Sales and Service Associate and has been happily providing service to his group and individual clients since July 2014. 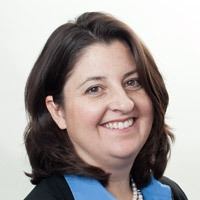 Liz Lirette attended the University Wisconsin Milwaukee while working in the insurance industry. She has 30 years of experience, starting her career in Property and Casualty and then moving into Employee Benefits. Liz joined Cyganiak Planning as a Sales and Service Associate in 1999. 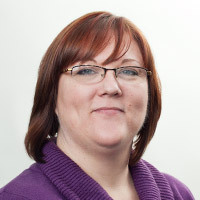 Liz enjoys helping clients control cost and find value in their employee benefit packages. In 2011 Liz was named a Five Star Business Insurance and Benefits Professional by the Milwaukee Biz Times. This process identifies Insurance professionals who are both exceptional in both their ability and commitment to overall satisfaction. Liz resides in Waterford with her husband Larrel and cat Chess. She also has two adult step daughters Cassy and Melanie. Always active, Liz enjoys traveling, photography, boating and music. Nancy McKay is a Sales & Service Associate who provides evaluations and recommendations of insurance needs to individuals and small businesses. Nancy offers assistance in claim resolution, employee meetings to assist in understanding insurance and industry information so the employees are better consumers of their benefits. She takes the confusing world of insurance and makes it easier to understand. In 2011, Nancy was named a Five Star Business Insurance and Benefits Professional by Biz Times Milwaukee. This award represents a select group of less than 2% of all licensed insurance professionals in the Milwaukee area. Nancy received her Bachelor’s degree in Business Management with a HR focus from University of Wisconsin-Whitewater. She has been with Cyganiak Planning since 1998. Nancy resides in Waukesha with her husband, John, and their three daughters, Alexis, Kaylee and Morgan. 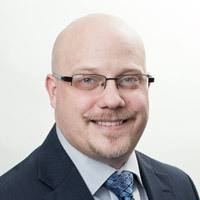 Eric Pierson grew up on Milwaukee’s northwest side and graduated from Rufus King High School. He attended the University of Wisconsin Whitewater where he received a Bachelor’s degree in Public Relations. After college Eric worked in advertising and sales in both Chicago and Milwaukee. Having had a background in sales, when the opportunity presented itself to join his father (John) at Cyganiak Planning, it was a natural fit. He has been with Cyganiak Planning since 2008. Eric, his wife Jennie, and their sons Joshua and Andrew like spending time outdoors… whether it be biking, playing sports, trekking through the zoo, or just relaxing in the yard. Tricia Scardino has over 15 years of experience in Human Resources and Employee Benefits, and has been a licensed agent at Cyganiak Planning since 2001. She specializes in employee benefits for small businesses and individuals in southeastern Wisconsin. 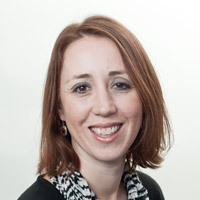 Trish tailors her professional insurance advice around each of her client’s specific needs. Her strengths include building long term relationships and treating each client as her top priority. She continually keeps herself and her clients up-to-date regarding the ongoing changes in the medical insurance industry. 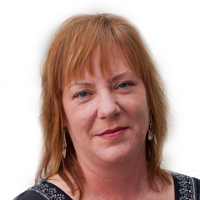 Trish prides herself in providing quality customer service, and serving as a trusted adviser. 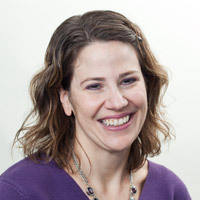 Trish earned her Bachelor’s degree in Psychology from the University of Wisconsin-Milwaukee. She resides in Milwaukee with her husband, Scott, and two daughters, Sophia and Reagan. She is a huge sports fan and spends her free time rooting for her favorite Wisconsin teams. Trish also plays golf and enjoys trying new restaurants in the area. 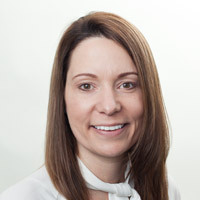 Liz is a Sales Associate with more than 20 years of insurance industry experience (all in the employee benefits arena). Liz’s focus is on partnering with business owners and individuals in the selection and implementation of cost effective personal or group employee benefit solutions. Following policy or plan selection, Liz provides a high level of ongoing service to clients and their employees through on-site group events. She also continuously monitors the insurance industry for her clients. Liz is a licensed insurance agent with the state of Wisconsin. Liz received a Bachelor’s Degree in Chemical Engineering from the University of Michigan while competing for the university as a scholarship athlete. In addition, Liz has also received a Masters of Business Administration from Marquette University.